Eau d'Orange Verte is, in my opinion, the jewel in the crown of citrus fragrances. Created in 1979 by perfumer Francoise Caron for the house of Hermés, L'eau de Cologne Hermés was later re-christened Eau d'Orange Verte in 1997. This is a rousing blend whose topnotes sparkle with acidic lemon and zesty mandarin. It is instantly embracing, offering one of the finest bursts of citrus goodness on the market. There is a beautiful herbaceous greenness and delicate florals that allow this scent to truly blossom on the skin. It is deep and rich... layers of fragrant wood and patchouli beneath form a beautiful base upon which this composition rests. It is also vivid and dynamic... inspiring harmonious visions of warm Meditterranean days with the sun blazing overhead. One can imagine diving into a bottomless emerald lake surrounded by dense orange trees that are all releasing their energising perfume on the air. Part of Ed'OV's success lies with its old timeless, elegant charm. It is a scent which is both remarkably simple, and yet surprisingly profound. 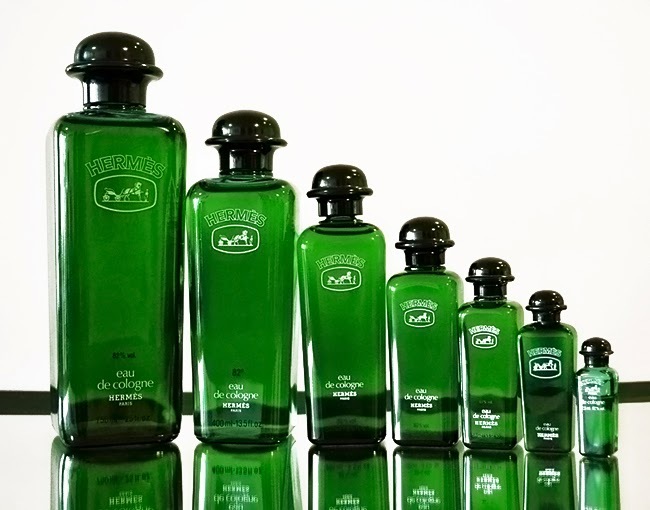 Sadly, Eau d'Orange Verte (the original eau de cologne version) has disappointing persistence. Thirty minutes after application, little remains. But, for my money, those bracing luxurious minutes relished right after spraying, are well and truly worth it. 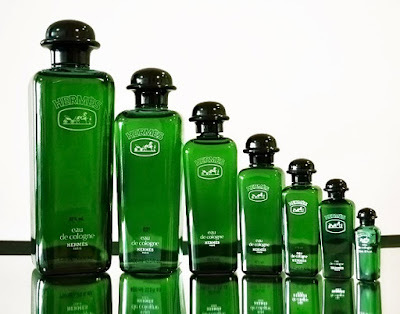 In 2004, an eau de toilette version was created, named Concentrée d'Orange Verte, but as far as Im concerned, it falls well short of the original. What the concentrée makes up for in terms of longevity, it lacks in the integrity of the composition. It introduces an odd spearmint-like creaminess, that I feel detracts from the pristine clarity of its predecessor. The dry-down is also a little too synthetic, to my nose. Hermés in-house 'nose' Jean-Claude Ellena has contributed enormously to reviving the brand's fragrance profile. But he has big shoes to fill if he is ever to fabricate a scent that is as timeless and as lavish as this. Are you up to the challenge, Monsieur Ellena? I agree with you, but I think that the little durability of the Eau d'Orange is not a fault, it is the goal of the fragrance: to be closer to the skin. I started using Eau de Cologne d'Hermès when I was about twenty, and I'm forty now. Couldn't use another perfume. It's simply... ME. This fresh, yet sophisticated aroma suits perfectly my taste, which always hated women's fragrances (apart from Diorissimo...). I find a slight difference between the cologne and the newest Orange verte. Yes, less persistence. Anyway, nice to see that once it was considered an unisex perfume, especially for people who practiced sports. And now?